Jacob Loafman is a photographer from Saint Louis, Missouri, USA. His main goal when creating photographs is to make them visually interesting while still telling a story of some kind. He uses many techniques to achieve a visually interesting photograph. 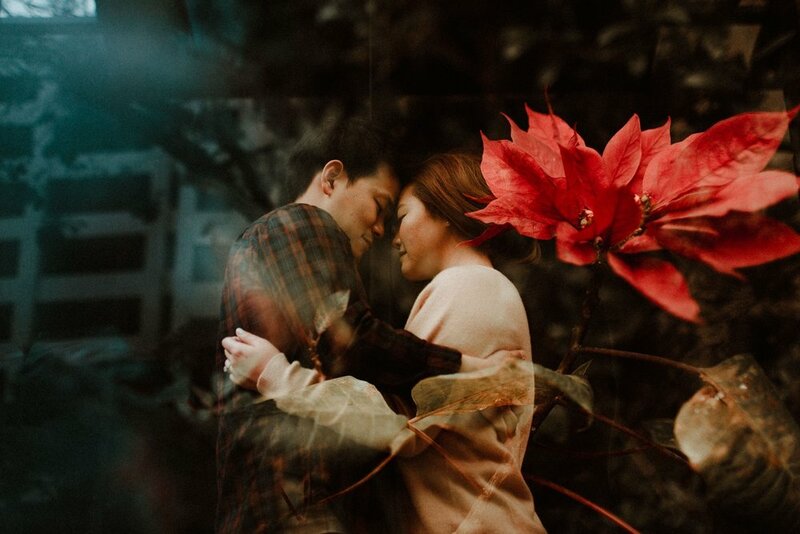 While he does photograph weddings and engagements, his passion lies in his personal work, where he creates a world of his own with it's own characters, scenarios, and stories. His favorite subjects to shoot are interesting, weird and curious and he uses his personal work as a playground for his imagination. To sum him up, he is a creative genius with a mustache which pretty makes him the coolest man on the planet. OH and did you know Jacob is teaching in our school? Enroll now!! What inspires your art? My number one inspiration is always music. The way my brain works when I’m creating I’ve noticed is at a higher performance when I try to make photographs to match the sound or feel of a song. I choose a song for every session I shoot and it plays in my mind all day. Other than that, colors, the human element, shapes, and just the mysterious or weird. I’m inspired by so many things, but music, colors, and films are my top three inspirations. What do you shoot with? Camera body and favorite lens? I shoot with a lot of different stuff. My main gear is Canon 6D bodies, a Sony A7 body, and a Leica X1 point and shoot! I honestly don’t have a favorite lens. I don’t pay much attention to gear anymore, as I found that it hindered my creative thinking. It overtook my mind at times during shoots, so now my cameras and lenses are simply tools. I don’t think of them much more than that anymore. What other ways do you express your creativity? I like to write music. Little ambient soundscapes that are about 1-2 minutes long. That’s the only other creative thing that I do. How do you de-stress at the end of the day? I enjoy watching films, enjoying a cold beer or cocktail, or just hanging out with my dog. What kind of music do you listen to while editing? INSTRUMENTAL ROCK! Sigur Ros, Explosions in the Sky, This Will Destroy You, Mogwai, etc…….I find the music inspiring, hopeful, and just takes my mind to a pleasant, creative place. How do you handle self-doubt or creative slumps? I just work through them. You can either take a break or just keep creating while you’re struggling. Either way, the timeline will be similar when you climb out of the slump you’re in, so I’ve found that I’ve learned more about myself when I create while I’m struggling.